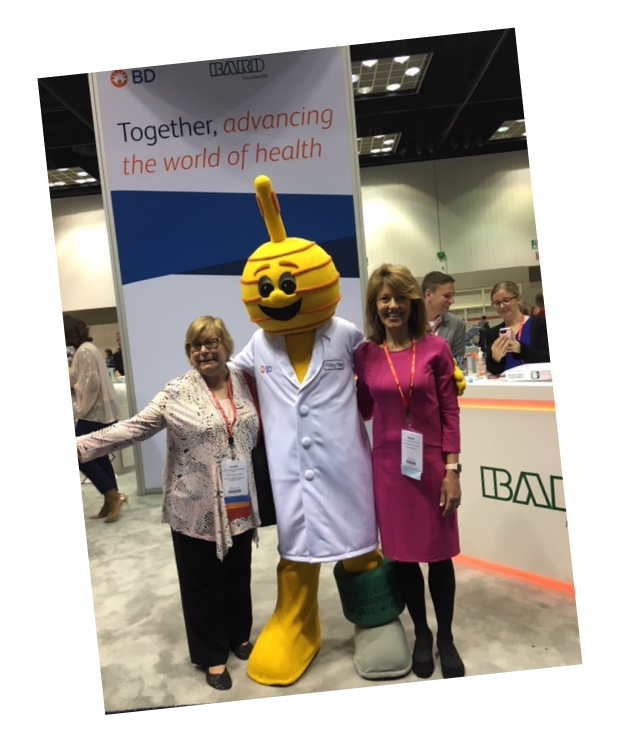 The AONE 2018 meeting was full of rich and relevant content, great speakers and a huge expo hall ideal for learning and connecting. 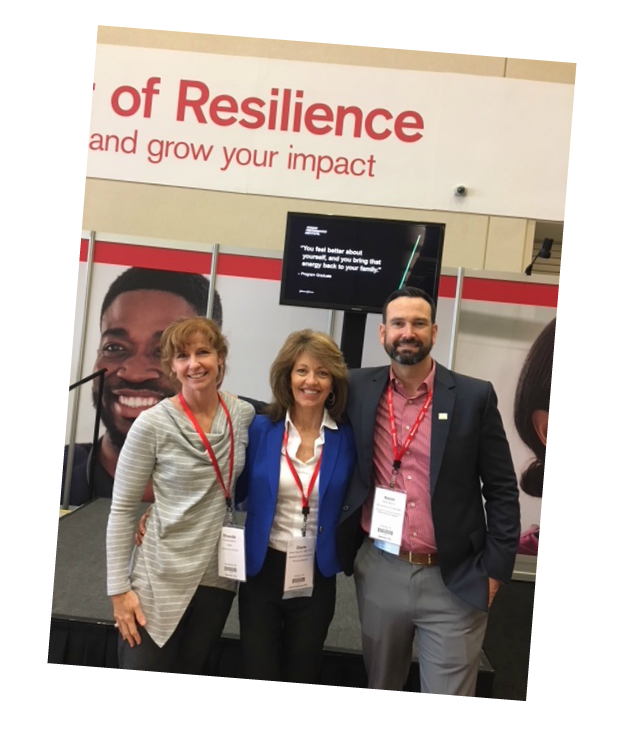 Everyone I met, from vendors to nurse leaders was refreshingly authentic, open and enthusiastic about nursing and healthcare today. 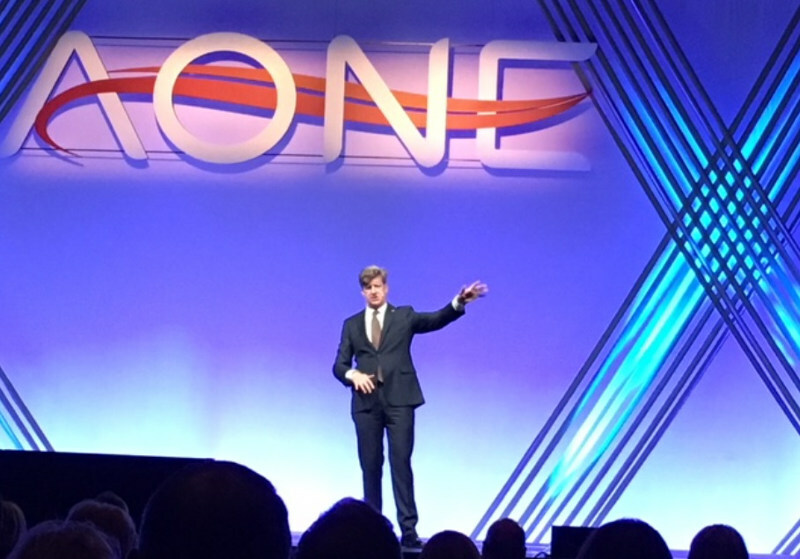 Of all the diverse speakers I experienced, I found Patrick Kennedy to be the most exceptional. Known as a pioneer in mental health policy and chief sponsor for the Mental Health Parity and Addiction Equity Act is impressive enough, but his authenticity is what impacted me the most. He shared his personal story of mental illness and addiction and the irony of being a public figure who struggles with the same issues he advocates. In a very transparent and provocative way, he spoke about growing up with an alcoholic mother, running for office, multiple admissions to rehab, and his passion for changing policy on mental health and addiction in this country. I was moved by Patrick Kennedy because of his willingness to be so vulnerable. It is a risk to reveal your weaknesses and struggles, (even if you aren’t a public figure). When you reveal your humanness, you make it easier for someone else to reveal theirs, and this results in mutual authenticity, a vital resilience skill. Be open to experiencing situations and people in a new and fresh way to keep you in the moment and curious. Take the time to be still and listen to your subtle and powerful inner voice and ask, What is the right thing to do? You can only be authentic when you have self-awareness and clarity about what is most important to you. Try telling the complete truth for one whole day (first to yourself) and realize how often we stretch or omit it completely. We all need mentors, coaches, and role models we respect and feel supported by to cultivate our authenticity. Patrick Kennedy did a great service with his willingness to be so transparent that afternoon. I heard many people say how grateful and inspired they felt after experiencing him. I hope he inspires your authenticity as well. Thank you for sharing these 5 ways . You are most welcome Jennifer. Which one do you think will be the most useful? Thank you Diane. Your writing is elegant. I miss you and your wisdom. Great to hear from your Judy! I miss you too and would love to catch up. Your review was wonderful to see and read.